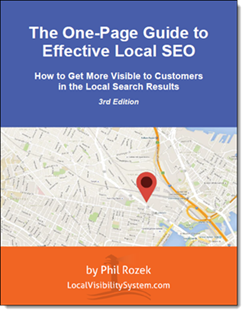 Keep Your Site, Lose at Local SEO: When Must You Rebuild? Can your camel’s back take any more straw? Take care of your camel and it’ll take care of you. Give it plenty of food and water, be its buddy, and don’t overwork it. 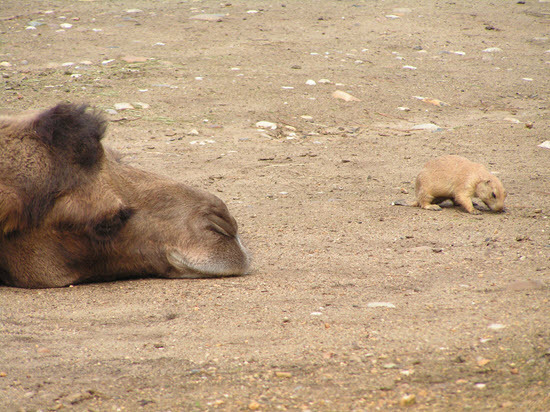 When your camel gets very old, don’t ask more of it. One camel can only bring you through so many miles of desert. Your business will only survive the harsh conditions of the “local map” if you take care of your website – and if you get a new one when it’s gone as far as it will go. When do you need a new site to move up in the local search results? They – Mike Blumenthal, Mary Bowling, Dana DiTomaso, Adam Dorfman, Greg Gifford, Joy Hawkins, Casey Meraz, David Mihm, Max Minzer, Mike Ramsey, Darren Shaw, Andrew Shotland, Gyi Tsakalakis, and Nyagoslav Zhekov – offered some practical insights. Content – in some industries like insurance I have seen sites that contained ONLY syndicated content that was the same across thousands of sites. This relates to the next point. On-going updates – sometimes the CMS or architecture are either so bad that it becomes nearly impossible to update or the work requires very expensive intermediaries to update the site and grow the content. This both slows down basic work and makes on-going work extremely painful and expensive. Design Failures – Sites that don’t convert due to major design and content flaws often need to be replaced. What good does it do sending all kinds of visitors if when they get there, they can’t or won’t become customers. The main problem with a website that can prompt me to recommend a new one is when the bones of the site – its architecture and URL structure – are crumbling or broken. This often occurs when a website is created without sufficient consideration of current SEO and local SEO best practices and/or has been “frankensteined” over the years by tacking on content without sufficient attention to where it belongs within the site structure. The site is bad on mobile and the price difference between adding a mobile version and just redoing the site to be responsive is pretty similar. You need to email your web designer every time you want to change the text. At some point it just adds up. The code is so bad that you have big technical issues. For example, site searches are creating duplicate pages. The site might not play well with social – for example, you can’t Open Graph tags so your pages look like crap when shared on social. We typically don’t work with many SMBs, but here are three issues I have repeatedly seen large brands running into that warrants jettisoning the existing strategy and starting over. No or unidexable location pages. Even today it is not uncommon with large brands trying to rely exclusively on a locator or a set of pages iFramed into a locator. Duplicate content pages existing under each location. In most cases if a business is selling services nationally, the description of the service won’t change from location to location. Unfortunately coming across a site with 500 locations and 50,000+ pages of “local” content indexed still happens. Instead of having store.com/location1 link to store.com/location1/service and store.com/location2 link to store.com/location2/service have them link to store.com/service. Microsites instead of and/or in addition to location pages on a sub-directory or subdomain. There was a time when brands could utilize microsites to drive non-branded search traffic and conversions but with domain strength becoming a much more important signal after the Pigeon update, brands are almost always better off putting their location pages in a subdomain or subdirectory under their primary domain. I always suggest a site update when a site looks dated, or isn’t user friendly. Many times, that just means design/organizational changes, but sometimes you get in and see that they’re on some free site builder platform, or some kind of crappy CMS. At that point, it’s time to make a change. We see auto dealers all the time who are on flat out awful CMS systems. It’s almost unbelievable – there are thousands of dealers on a major website provider that can’t even add a page to their website! They have to create the page in the CMS (and they can only edit the H1 and content), and then they have to submit a support ticket to have the provider add the page to the site. Typically, dealers don’t know any better, so the button name, H1, and title tag all say the exact same thing. But – they’re either required by their manufacturer to use that system, or they just don’t know there’s a better solution out there. If you’re not able to add pages, or edit the important SEO elements on any page, it’s definitely time to blow up the site and start from scratch. 1. The current site has no CMS – Without a CMS it makes it really hard for any marketing company to scale the amount of work they can do on a site. Since lots of SEO companies charge by the hour, this could leave business owners paying for several hours to do a really simple task. Thus, it’s better for the business to pay to get a new site with a SEO-friendly CMS (like WordPress). I had a tree service business that recently paid us to redo his site and this was the main reason why. Even adding something like a Google Analytics code was really time consuming because we had to manually add it to every page of his site. Adding a new page to his site was something we had to get a higher-level web design employee to do since it involved knowing how to build a page from scratch using HTML. So getting a new WordPress site was definitely in his better interests. 2. The current site is not responsive and has a template/structure that is not easy to convert to make it responsive. I have had some quotes come back from our web design team where it would be cheaper to build a new site based on a template that is already responsive than it would be to take the existing site and make it responsive. Having a responsive site is becoming more and more important for SEO and also for having visitors convert into customers. I also always suggest this instead of having a separate mobile version of your site because responsive design fits to any screen size (not just phones) and also makes it so you only have 1 version of your site that you need to update on a regular basis instead of 2. 3. The current theme is outdated. I’ve had clients that are using old WordPress themes that aren’t updated and don’t work well with some of the newer versions of WordPress. I had one that even broke the entire homepage when it upgraded to WordPress 4.0. Having the latest version of WordPress is important to help keep your site from being vulnerable to the many hacks that you hear about which can cause Google to actually remove your site from their index (for malware). 4. The current theme doesn’t support certain types of coding necessary for Local SEO. For example, I have had several clients who have a CMS and/or theme that removes all Schema markup the second you press to save the page. Something in either the theme/CMS removes or strips the code off the page the moment it’s saved. The same thing applies to adding a simple H1 or H2 header. I had this happen with a personal injury lawyer I worked with and also a private investigator. 5. You need a new site due to a manual penalty or Penguin issues. After seeking advice from a manual penalty expert, a dentist I just started working with was advised to get an entire new site. It wasn’t just the domain that needed to be changed but also the content on the entire site. We also renamed all the images and changed the hosting to make sure Google didn’t associate it at all with the old site. The old site had 2 different manual penalties and also had a massive traffic drop after Penguin 3.0 in October 2014. All due to some terrible backlinks he had acquired years ago. First of all, you will get the most out of your investment if you pick a system that your SEO Consultants are experts with. So in some cases it may make sense to rebuild and restart when starting a new SEO project. Moving to a commonly available CMS will give you more options for expert advice moving forward. Also this really depends on the investment. Website design and development costs can be expensive. If you are going to pay an SEO on a monthly on-going basis for a set period you can be shooting yourself in the foot by just applying patches or minor fixes and limping along instead of fixing major root problems with your site. In my opinion its always better to start with the least imperfect base. If you do this you can rule out a lot of uncertainty moving forward. 2) The design/layout is not producing conversions when a A/B test reveals it’s an easy fix. If a client is not on a standard CMS (Drupal, Joomla, Squarespace, etc) and the site is under about 30-40 pages, I’m always inclined to get them onto WordPress. It’s a good long-term investment even if it takes a few extra hours to set the site up. – How bad is the formatting of the URLs? – How easy is it to edit individual page title tags? – How easy is it to add links and content to the homepage? – How easy is it to completely rework the navigation? If the answers all “check out” above, and the client doesn’t update content all that often, then maybe it’s OK to leave them on the current setup. In the world where marketers say “You must have a website or your business will go bankrupt” (same about social media networks) I’d start on the other side. When considering redesign/rebuild of business website – it’s a good opportunity to reevaluate website’s role in reaching your overall business objectives. Consumer expectations are evolving. How do you adapt your digital properties to reach potential customers? 3) conflicting information or confusing dated material. Customer: “Hmm, I think I saw a sign yesterday on my way out saying they’ll have my favorite local band this Saturday but their website has a poster from few months ago with another band listed.” Or another one: “Look what they have on the menu on their website! Let’s go!” and then visiting and finding out that the menu wasn’t updated for years and the dish you wanted isn’t available. With that in mind, I’d consider different approaches for each business based on their objectives. One business might be better off without certain parts of the website, like if customers feel like they’re visiting a Twitter profile with its last tweets from 2011. Go simple. Another business will be fine even with an archaic website because customers don’t have high expectations and business continues to get plenty of phone calls and word of mouth referrals. Another business might want to think about rebuilding if they get Yelp messages or customer feedback saying website contact form is broken. Things are broken. And other business is doing great but will see missing potential and do redesign/rebuild to explore new waters, not out of desperation with poorly built site in the past. This determines if we start over or not. The hard part in both cases is the same: determining what is needed. Once you can nail that down it becomes a lot easier to determine the time each option would take. I know this is basic but it has proven quite helpful to us in making that call. Every website rebuild project I’ve worked on has seemed reasonable at the start, but ended up taking 3 times longer than expected, so I try to avoid them. Usually, I find it’s less work to fix the architecture issues than to rebuild a whole site, but if the site is built in Joomla, Magento, or Drupal, then I want to tear it down immediately and build from scratch. I despise those platforms. When determining whether it’s better to start from scratch, design is more important to me than CMS or architecture. When I land on a website with terrible design that looks like it was built in 1998, I scramble for the back button, and that will kill a business’ SEO. If the design repels potential customers, then I’ll push the client to start from scratch with a new site. We’ve certainly had cases where client sites were overly complicated and part of our SEO recommendations led to a redesign, but that has almost always been in the “enterprise” space, not SMBs. Any time we have recommended this for SMBs is when we are pretty sure there’s a Panda issue – lots of thin, SEOish pages that are getting no traffic. Funny thing is we had this happen recently in reverse. A new client had just redesigned their website because it had hundreds of crap SEO’d pages and they thought it had a Panda problem. So they just chucked the whole thing out and launched the new one and guess what happened? Their organic traffic went down to almost zero. Because their web dev was playing amateur SEO (“Why pay an SEO consultant? How hard is it to update a title tag?”), when traffic started dropping he cried “Panda!” but he had neglected to realize that they still had organic traffic. In his zeal to redo the site (and probably make some $ of the client in the process) he blew out all of the pages that were still getting traffic and that’s when their SEO really tanked. Their web leads dried up instantly. A few months later they brought us in and the first thing we did was roll back to the old Panda-fied site. Within 3 weeks they went from 2 clicks/day in Google to 60. This is definitely one of those case-by-case situations. However, if it’s a content-focused site (i.e. not ecommerce) and it’s not on WordPress, that alone can be enough for us to justify a reboot or migration. Working with law firms, we see a lot of proprietary and quasi-proprietary CMS implementations. There are a lot of problems here (the fact that they’re proprietary, lack of support/updates, etc). Assuming they’re already on WordPress, we look to architecture. Most firm websites we review don’t have a clearly planned site architecture. They’re usually blog feed + static pages (i.e. bios, practice areas, etc). Fortunately, many of these can be restructured without needing a complete tear-down and rebuild. In some instances, cases of exceptionally long/spammy url structures, we will recommend rebuild. Finally, there’s the “excessive plugins” issue. A lot folks will try to design/feature/layout implementations via plugin. We have found that this is a source of a lot of problems (site speed, reliability, security vulnerabilities, administration, etc). If we can’t remove most plugins without greatly impacting the site’s overall structure/layout, we’ll probably recommend a fresh start. I once worked with a law firm with quite a few offices in a very competitive area of practice in a very competitive geographic region of the US. The guy in charge of the Internet marketing efforts of the firm was very passionate about SEO and very eager to get results. Needless to say, this is very frequently a formula for mess, and most certainly not one that delivers good and sustainable results. The guy had at least 4 people work on his site (WordPress) prior to me taking a look. There were literally hundreds of scripts and plugins installed, or manually coded, as well as a lot of hard coding into the theme used by the site. Additionally, there were thousands of pages of duplicate, or near-duplicate content, as well as pages with content that was near-duplicate (or badly re-written) with content from external sites. Almost none of the content on the site has been optimized neither for humans, nor for robots. The architecture of the site was chaotic – and again, we are talking about a site with thousands of pages of content. There was no inter-linking between the pages, no universal hierarchy, and worst of all – no certain way to know what had to be linked to what and where it was supposed to belong (if anywhere). I guess the short answer to your question would be – if it would take less time (and money) to get a brand-new, well-structured and optimized site, as compared to trying to figure out what exactly has to be done with your old (and ruined by time, people you have hired, or yourself) site, and actually implementing the needed changes, then it might be better to pick the first option. I usually become a pain in my client’s neck if the site has more than about 2 of those problems. On the other hand, some sites are so bad that I hope they stay around forever. Huge thanks to all the contributors for all the practical, hard-learned wisdom. I suggest you follow all of them. Think you might need a new site? Under what circumstances would you know your camel can’t carry more straw? Did you have a favorite bit of advice? Great round up post! I have been happy with WordPress and use that for all my clients. Thanks, John. Yeah, I’m partial to WordPress, too. With regard to Mike Blumenthal’s comment about syndicated content, a year back I was watching local rankings for a client that bought a $12K website from a law-firm-website shop (instead of from my firm). This other firm added content weekly to their site with articles that were duplicated across dozens of other law firm sites. Completely against my expectations, my client’s site rose from SERP position 50 to position 2 on google within 6 months, for searches on their city (DC) & type of services. So now I don’t know how to think about companies that crank out template sites full of duplicate content. Big ginormous kudos to Darren Shaw for the mention of Drupal and Joomla in this context. If nothing else, they make local and organic search optimization much more time-intensive than wordpress, making it a legitimate choice to convert away from those platforms in order to gain economically beneficial results with SEO and Local SEO. Good point, Steve. It’s sad that even large-scale duplicate content is a pretty forgivable sin to Google. What are your thoughts on Weebly? I’ve spent some time adding some SEO to my site, and I’ve considered migrating to WordPress – but Weebly is so easy. I can’t say that Weebly is ideal, but I do have one client who uses a Weebly site. My initial impulse was, “Tear this thing down!” But then we were actually able to make the necessary changes, and got excellent results, so that was good enough for us. Karen – Easy is good, but once you’re website has evolved I think you’re going to feel a bit confined. Everyone recommends WordPress and I do to. That being said – done is good – so if Weebly is going to get the job done – go for it! And when client’s web developer simply vanishes and client doesn’t have any access to the website. Yeah, although it depends on whether the client bought his/her domain name and hosting. I find Joomla much easier to develop on over WordPress. WordPress works for very basic web sites, but once you need something even slightly more sophisticated, Joomla is way ahead. Joomla has better text block control (widgets / modules), built on caching and meta descriptions, and several CCKs for building structured content types. WordPress require code diving for what I can do with Joomla right out of the box. I have much better presentation control. WordPress frustrated me with its primitiveness. Thanks, Mark. I think that ties in with Casey’s first point. Greg’s comments about the auto dealers are true. He has presented on this in the Dallas Fort Worth SEO community, along with his breakdown of the various Google properties (Google +, Google Plus for Business, etc.). It is amazing that some such high dollar transaction businesses (auto dealers, some forms of real estate like raw acreage, and some in the medical community) at the local level still have these designs that hurt conversion rate. The question is which method of conversion testing do you like to implement first on local small business websites? Do you change font colors and A/B test from there (w/ low-cost PPC ads), or do you choose another method to start? Any thoughts on this are ideal as all the client wants for most local businesses is simply to get new business (e.g. “make the phone ring”). Thanks. Great information and truth Adam about larger retailers with 500+ locations relying exclusively on a store locator or a set of pages iFramed into a locator and think they have “optimized Local landing pages.” We have a solution that is aligned with what you mention. Thanks!